At South East Dermatology Stafford we offer dermatologist consultations and GP Skin Cancer checks with GPs who are supported and trained by our Dermatologists. No referral is required to see our skin cancer doctors. We understand that not all patients wish to see a Specialist for their skin cancer checks but would like reassurance that their skin cancer doctor is qualified to undertake their skin examinations. At South East Dermatology we offer GP skin cancer checks from GPs who are supported and trained by our Dermatologists. No referral is required to see our skin cancer doctors. Treatment facilities include whole body and hand/ foot UVB light treatment, lasers for treating vascular and other skin lesions, Iontophoresis as well as allergy patch testing. Skin surgery for melanoma, skin cancer and other skin problems are performed on site in our dedicated operating suites. 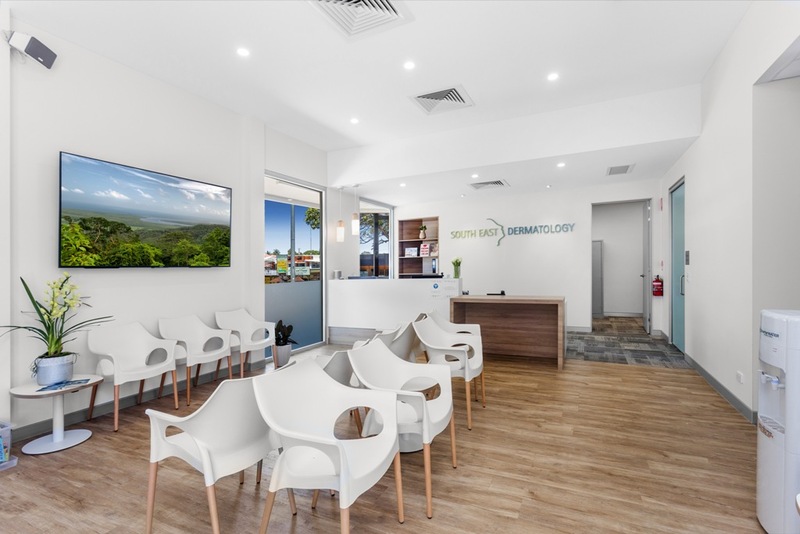 South East Dermatology Stafford can also offer Mohs micrographic surgery, a surgical treatment method used for aggressive forms of skin cancer and our Stafford clinic also provide consultations via the internet for patients in rural and regional areas.